There’s a song by Christian singing group Audio Adrenaline titled “Chevette”. When I first found it, I thought, why would a Christian group be singing about a Chevette? The song came out about 1998, over 20 years after the car was introduced. The lyrics mention how the singer’s father was a preacher, but he was a “rich poor man”. His dad came home with a new car, a Chevette, about the only new car he could afford. The song tries to convey the message that we should be content with what we have. As the song goes on, he mentions “now it is up on blocks”. This car did not receive the same fate as the car in the song. It is a true survivor with only 5,830 miles. 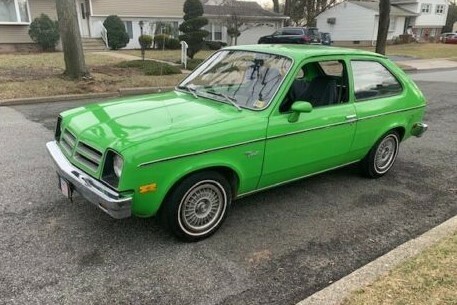 Here is a 1976 Chevrolet Chevette 2 door hatchback for sale here on eBay in Paramus, New Jersey. Thanks to Barn Finds reader Jim S. for bringing this car to our attention. 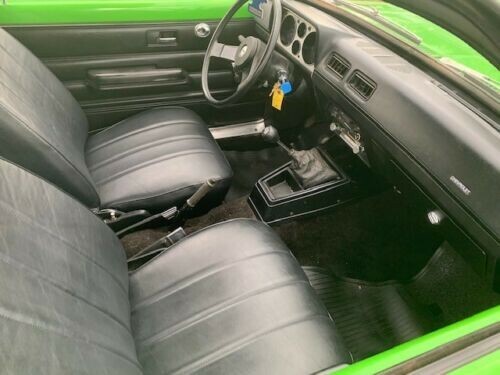 In 1976, if the Chevette wouldn’t grab your attention, this color, Lime Green, would. Oh wait, it was 1976, colors were actually available in hues other than black, grey, white, and red. The paint is original so the buyer should expect some minor chips. 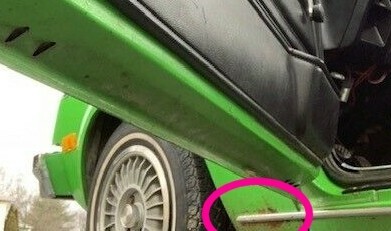 There’s also some discoloring where the hood, left front fender, and A-pillar meet. This Chevette wears optional sport wheel covers. The car has been garage kept and has only had one owner since new. As the eventual replacement for Vega, in its first year, the Chevette outsold that model with sales of 187,817 to Vega’s 160,523. 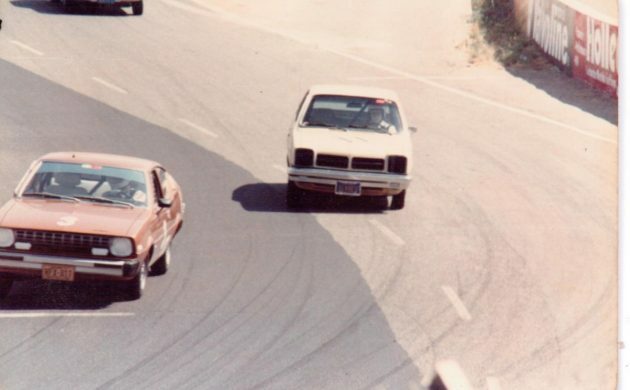 It was also smaller than Vega by 16.7 inches in length and weighed about half of what a 1976 Malibu Classic did. The interior, as expected, is pretty basic. It does have carpeting and black vinyl bucket seats. This car also has a 4-speed manual transmission shifter mounted in the floor. The exterior’s Lime Green color extends inside to the top of the doors, rather than the vinyl door covering extending to the door top. This Chevette has a remote control driver’s mirror. There is no mention if this car has air conditioning, so I would assume it doesn’t, even though it has center vents. The interior is very clean. Now I’ve figured out why American cars converted to liters from cubic inches to describe their engines. That would be to confuse us so we wouldn’t realize just how small the engines were, thinking we all had trouble converting from metric to US customary system. This Chevette is powered by a 4 cylinder OHC engine, either the standard 1.4 liter (85 cubic inches) or optional 1.6 liter (97.6 cubic inches), no mention which. It has a new alternator, timing belt, and battery. It starts right up, runs, and drives fine. As I write this, the Chevette has 28 bids up to $3,000, about the price you could have bought one of these new without options. Anybody up for a Chevette far from needing to be put up on blocks? Get bidding! I wouldn’t be interested but I hope that this car will live on with a kind and caring owner(s). As rare as it is now, its rarity must be growing by the week. There’s no air conditioning, the center vents came on all cars, the air conditioned cars had vents on the outer edges of the dash, also no a/c components under the hood. I was working at UPS in the early ‘80s and there was a couple of guys that had Corvettes that they always parked in the corner on the employee lot. One day a new Chevette shows up and parks in one of “their” spots. Something gets said to the driver of it, to which he replies, “It’s a Vette ain’t it?”. They made room for him. There use to be plenty of these running around my area back then but can not remember ever seeing one this colour green. The 1.4L engine was an OHV design. This car appears to have the 1.6L OHC engine. Both the 1.4 and 1.6 engines were OHC. Neither one was an OHV. Both the same basic design, the 1.6 was simply a longer stroke version (both had the same bore). Wikipedia has had the wrong information regarding the 1.4L engine for a LONG time referring to it as an OHV engine. I’m assuming that’s where you got your mis-information. That particular bit of bad information has gone far beyond Wikipedia, unfortunately. I dug out my 1976 Chevette brochure, which I got when my dad and I stopped by the local dealer to check out Chevy’s new small car in 1975. Sure enough, the 1.4 is listed as an OHC engine. All chevettes had ohc engines only , never seen any without . Laugh all you want, but Chevettes (and their Pontiac twin, the T1000) have actually been good for me . . . but maybe that’s because I never kept one longer than it took to sell! @Brakesrvo Same here. My family was GM-loyal to a fault, and most of the cars were utter trash, often leaving us stranded by the roadside (I’m talking about you, Vega Kammback). Mom’s Chevette was durable as an anvil for almost ten years. Fast? No. Fun? Not so much. Reliable? More than any of my friends’ new Lexuses. This would get more attention driving down the street than a Bugatti. Not saying you would want the attention but it would! A Slimer Green Chevette of yesteryear is no different than a Slimer Green Kia Soul of day…..disposable vehicles. 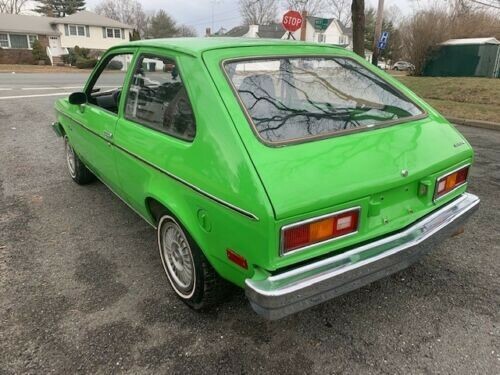 A Slimer Green Chevette of yesteryear….no different than today’s Slimer Green Kia Soul. Both are cheap, disposable transportation. I’ve been realizing what really disposable vehicles are. All the mini-vans with automatic transmissions going bad, and the cost to repair exceeds the value so they go to the junk yard. Late model Buicks and Chevrolets with low tension piston rings that destroy engines. All Ford Taurus and Mercury Sables with bad automatics. The OHC engines Mercedes introduced to Chrysler products when they were in charge, all go bad. (4.7 liter). Cadillac Northstar. (enough said). Now, as to the lowly Chevette, no known problems, they just keep on running forever. This little car looks extremely clean considering its age and also how unpopular these were for decades.It’s the Chevy version of GM’s T-car ; built at several plants across the globe under various GM brands and liveries. Though it may seem like a joke compared to fullsize cars of the era,these little cars can be turned into quite snappy drifting cars.Opel Kadett C;the European counterpart ,has been quite a cult vehicle in Europe for decades,and unless the Chevette has differences in the engine bay, it should swallow a 2.4liter Opel engine without any mods, and of course turbo can be added.I’ve also observed such Kadetts with both Cosworth and Hayabusa engines, so they can be real scary! Cool little ‘undesirable’ car, IMO similar cool-factor as the AMC Pacer! 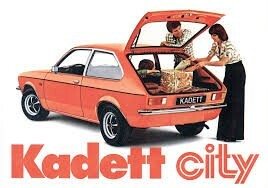 I’ve enclosed a pic of how they came on mainland Europe, as UK would sell them as Vauxhall Chevette. 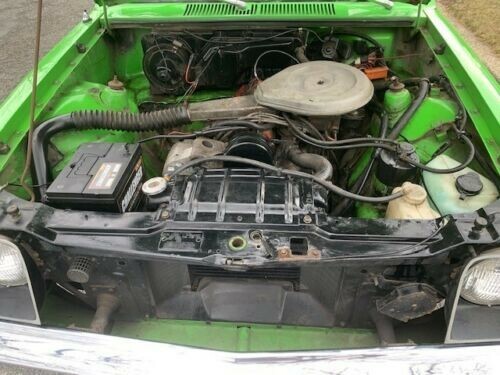 Here is another 1976 Chevette with a “slightly” bigger Chevrolet engine than the usual 1.6 liter 4-banger! Yup; I’ve too spotted a similar Opel Caravan with a hot SBC on a track day gathering, however the BBC route was new to me…!Now, that is what I call sleeper , record-setting grocery-getting for sure!! It was what You were forced into buying at the time. Check out the other mousetrap they have for sale. Mine was good to me. 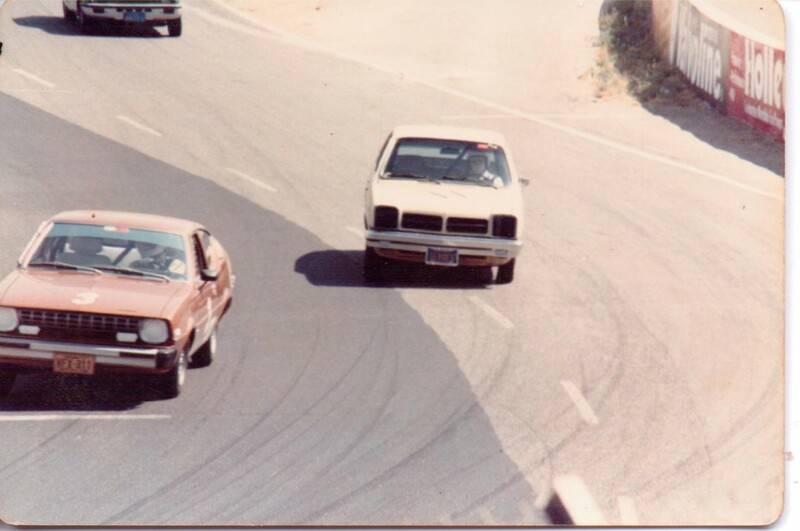 I even raced in in Showroom Stock C against Renault R5’s, Dodge Colts and Plymouth Arrows (Vegas and Pintos were much faster). In fact it turned 100,000 miles while going around turn 9 at Riverside. Learning to drive stick – in T1000s at Dad’s dealer. I was 12 but tall and answered phones, took out trash and became the car jockey. There were tons of these in philly at the time. I eventually was the guy who checked in new cars so I drove a lot of these. Iron dukes, most were manuals, super basic but they sold a bunch of them. Would be fun at this price for the nostalgia factor. My girlfriend in high school had a vw rabbit the same green color as this. I think it would be a cool car to give your 16 year old. A little different, easily serviced and repaired and not overly valuable. I think it’s a good deal. As usual, I don’t buy the mileage claim. 5K miles, this thing would look like new, which it doesn’t. 106K miles in 43 years is only about 2500 miles a year, and would be entirely possible to keep a car looking like this. Great car, but I doubt what the seller claims. I had the exact same car in High School back in the late 70s. There was another girl who had the same model as well. We’d park right next to each other whenever we could. The best part was telling everyone that I drove a “vette”! Chevette- Corvette Timex-Rolex; if you can’t tell the difference, why pay the difference? I can, and I would. The 7 Up bottler in Columbus, Ohio had these as field cars for a very long time. They were painted 7 UP green, which better than slime green. If you really, really have to have a job, here is your company ride. Bid up to 5000 dollars now. Could be entering record high price territory for a stock Chevette. Yep, just saw that… 5k, with over 5 days left on the auction… wow is all I can say. Not an “eventual replacement for the Vega”. Vega/Monza [and Sunbird] went to 1980 and were replaced by the J Body for the 1982 model year. Monza [& Sunbird ] gained the wagons of the Vega along with Iron Duke 2.5 4s as the base engine. Yep, strange for a 5800 mile car that was always in the garage. Just Google, “Chevette’s as rally cars, and you”ll see hundreds of pictures of Chevette rally cars. Most of the events were in Europe rather than the USA. It looks to me like the participants are having mountains of fun. For some reason the USA prefers drag racing, demo derby, big V-8’s.